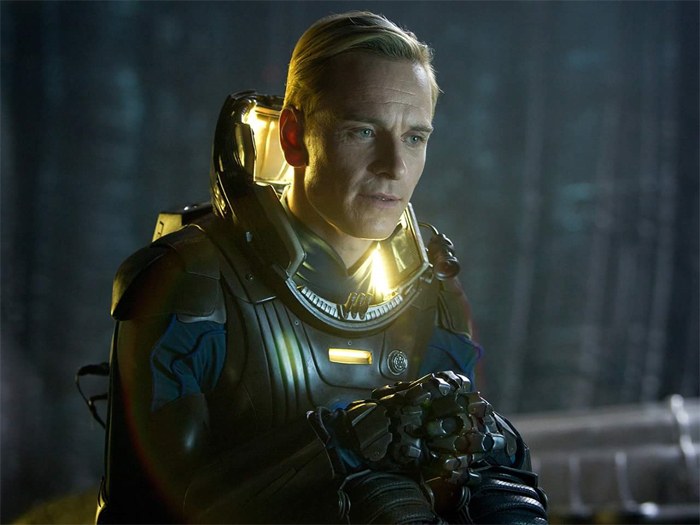 Michael Fassbender talks Alien: Covenant in a new interview with the Inquirer. He’s currently in Sydney filming Sir Ridley Scott’s Prometheus sequel Alien: Covenant but that isn’t stopping Michael Fassbender from getting in on the fun with the X-Men: Apocalypse press rounds! Talking to the Inquirer about his work on X-Men, he also talks a little about Alien: Covenant. Considering that a frequent complaint about Prometheus is how the technology in the prequel looks more advanced than anything we eventually see in the main Alien series, I’m sure this news will be most welcome to a lot of fans. You can check out the whole interview over at Inquirer where he also talks about X-Men and Assassain’s Creed. Thanks to Stolen for the news. Keep in mind that a game is a different medium/media than a film. Since it's more personal and interactive than a film it's easier to build tension. While Alien: Isolation was incredibly tense, I'm not sure I'd call it scary. You knew what was hunting you, you knew what it looked like and you knew what got it's attention. Real fear is best generated by the unknown and what your imagination does with it. I thought it was absolutely terrifying. I think there's more to it than just the medium though - there's the presentation which stretches across medium. The visuals, the music, the use of audio. It all worked together to create an immense atmosphere. I really don't think Isolations success is based just on being a game - it helped, definitely, but I don't think that precludes it not being able to be scary again on screen. I agree with the unknown, but an Alien in a vent is scary. It's in the dark, you can't see it, but you know it's there, and it's coming straight for you. This 'In the vents" made me think of the way the scares in alien and aliens were very much about the use of the sets in the story. In Alien, you're constantly on edge, because you don't know what it looks like, or where it is, and the Alien has tricks up its sleeve. In Aliens the same goes. First you're in this Hive and the audience is on edge thinking what's this place...? Then they cant use their weapons, the whole colony is cocooned there, then they come out of the walls, then they are trying to escape. It keeps throwing new information at you in an unnerving way AND making use of the space/sets. Then AND MOST IMPORTANTLY when they hold up in the Med labs/compound, the audience is told: We are sealing these access tunnels, then we are using sentry guns and etc... You are always aware, in the audience, of the surroundings and what steps are being taken, and wondering where they will come from etc. Even the part in the med lab where the facehuggers attack. Its a great use of the set. They can't break the glass, BUrke shuts off the monitors, the gun is outside on the table - its such a great detail because it's not just missing, its right there to be seen - they set off the sprinklers... All about the set. Overall, the use of the space is important. You need great set-pieces. Think about the first time you heard Ripley say "That can't be that's inside the room!" - All of that works because of the information we are given about the compound. In Alien 3 and A:R there is no real use of space. The only part that worked in that scene was the underwater scene because the set and events combined to surprise us. Especially when the exit was covered in that secreted resin. A nice set-piece. In Alien 3 the only decent set-piece was the Bait and chase at the end. The problem with A3 and AR is the set pieces weren't so great. Prometheus had a few, but they seemed disconnected from each other. I reckon a BIG part of creating a 'scary' vibe to the 'ALIEN: COVENANT proceedings will be the music accompanying the images. While there were some nicely moody cues in PROMETHEUS at certain times, the raw, snarly ALIEN score remains a huge part of the reason why certain scenes ramped up the tension. Hopefully, some of ALIEN's dread-laden atmosphere can be reached once again by Ridley and his composer. Well its difficult to make Xeno scary again. I hope they found a modus to do it. In my opinion, the only way to do it is to give Xeno a much larger context and purpose. We need something sinister and some new and original scary scenes. Is it? I thought it was scary as hell in Alien: Isolation. Alien: Isolation proved it could be scary again. One of the things that led to my fascination with the series was just how much Aliens affected me. I had horrible nightmares for 5 years. Alien: Isolation was a return to that kind of terror. The physical reactions I had playing that game - I was on literal adrenaline comedowns after playing it. It was one of the best Alien experiences I had ever had. It certainly proved Ridley wrong when he said the Alien couldn't be scary again. It made Blomkamp sit up and take notice too. I certainly hope Ridley took notice. Stompy was quite scary in isolation, its all about presentation. Aside from that it doesn't have to try to be outright scary, just give it some thick dreadful atmosphere. Prometheus was more adventurous and even wonderous in tone for much of its runtime, unlike the trailers which were scarier than the film itself. Wasnt scary at all and the movie didn't try to be scary or dreadful. I don't know why Ridley kept saying that. That and the trailer prepared me for a whole different movie that's for sure. Really hope this one is different in that regard. Well, last time around Riddles said the movie was going to be scary... and it wasn't overly so. Well, he mentioned the sets and sets were great (In Prometheus), now he spoke about the story and the horror element, saying: “There’s a lot going on (so there is some thriller/horror/mystery/adventure story), I think it is going to be super scary.” Following that logic, it's easy to assume that they understood the vital importance of story and narrative. F**k the sets when you don't have a good story, even a good actor can't patch that huge oversight. So huge-mega great story + fine sets and good actors = terrific movie that could become a true successor of original Alien. I wouldn't put too much stock in what Fassbender says. He tends to just be the professional and just find the good in things and not mention anything remotely negative. I remember in the run up to Prometheus he was just like "yeah......the sets are good......"
HOLLYWOOD actor Michael Fassbender is certainly making the most of his time in Sydney. The X-Men star currently calls the harbour city home as he’s filming Ridley Scott’s Alien: Covenant at Fox Studios. “I am practically Australian at this point,” Fassbender told Confidential on the red carpet at George Street’s Event Cinema complex for the Australian premiere of his new film X-Men: Apocalypse. Director Bryan Singer (centre) on set of film X-Men: Apocalypse with James McAvoy (left, as Charles Xavier) and Michael Fassbender. X-Men: Apocalypse is the latest in a string of films in the marvel franchise that sees stars including Jennifer Lawrence and James McAvoy return to the big screen. Of Magneto’s story this film, he continued: “When you first meet him he is sort of living a very simple and honest life, he has fallen in love and started a family and left his mutant ways behind and working in a steel factory of sorts which we thought was pretty interesting because he’s not using his powers and doing manual labour as his penance. Fassbender, 39, recently shot The Light Between Oceans in New Zealand and when production finished flew to Australia for a break. He’s only just started shooting Aliens so will be based in Sydney for some time to come. Fassbender wouldn’t though divulge too much about the plot of the much anticipated film. That was literally all. Thanks for sharing though. Can't access the article. Could you post the whole thing? And that's really great to hear. I hadn't really considered returning to the horror genre but if Ridders is going back down that road and makes it work on the big screen like it worked in Isolation and the original Alien, I'm all for it!